(c) I thought it would be nice to stay in the warmth downstairs instead of having to go upstairs every time I needed to use the computer. I don't own a laptop, so the iPad seemed like a good idea all round. The nice young man in the shop wrote down a list of basic instructions for getting started. You have to sign up to iTunes, which I'd never bothered with before. The first hurdle was getting my iPad to do anything at all. I would turn it on, it would show me the apple, then it would go black. In desperation, I finally resorted to my desktop PC to find and download the User Manual. It told me about the arrow that flicked up for a moment when I turned the iPad on. You have to slide it across to unlock everything. Once I got that far, it was reasonably plain sailing until I got to the part about there being an email from Apple asking me to verify my email. It asked me to put in my Apple ID. But by that time I'd filled in so many boxes and answered so many security questions that i couldn't remember what my Apple ID was. So I clicked on "Forgotten your ID? ", and it asked me to input my birthday. I did that, and it told me I was wrong. At this point I gave in and phoned the help desk. A very calm woman with an accent that was only slightly difficult to follow (as I'm sure mine was for her) started by asking me for the serial number. Then she told me where it was - on the back of the box. I peered intently at the tiny letters to make them out, eventually she understood what I was telling her, and she got me back on track. She even helped me go back into the maw of the beast and correct my birthday. (I could have lived with it recording the wrong birthday, except that I didn't of course know what wrong birthday it had.) Then the call got cut off. I bravely carried on, alone. I knew exactly what I wanted to do first: download the app (see, I can speak iPad!) for Kindle, so I could get ebooks from Amazon. I will still buy real books from real booksellers, but there are some venerable classics available for free. One of these is the first volume of Marcel Proust's In Search of Lost Time/Remembrance of Things Past, the first thing I wanted to download - I'd decided this was the year to tackle it. I didn't quite get that far last night - it took me all my remaining time and energy to get onto the internet and download Kindle before falling into bed, too exhausted to read. (Halfway through I had to phone the help desk again, because although this book was free, they still wanted all my billing details, and I couldn't work out how to type in my phone number in any way that was acceptable to the unseen god of the machine, which insisted on a three-digit area code. A nice young man got me over that hurdle. They train them very well not to laugh). This morning, after a frustrating half hour or so (the manual kept telling me what to go to in Settings, but I couldn't find Settings, so that was no help), I finally managed (I'm not quite sure how, and I probably won't be able to do it again without a lot more futile prodding at the screen and swearing) to get into Amazon and download Swann's Way. And start reading it. I still don't have a clue about the iCloud, or how to write (or dictate!) notes and send them to my proper computer, let alone how to look at my emails (I think it can do that, but I'm not sure). And I was disappointed that the Kindle books seem to stay floating around in Kindle, rather than neatly installing themselves on one of the most reassuring bits of iPad, the nice wooden bookcase (the only thing I have on it so far is the manual). Maybe the only books that go onto it are iBooks? But I've just discovered the Gutenberg Project, with its enormous and fascinating lists of bygone books (including Proust, only in French). And I expect I'll be able to figure out how to do the other things I need or want to do. Eventually. Meanwhile I'm having a good time with Marcel. I love my iPad. I've got a Logitech keyboard to go with it, which also acts as a sturdy case. I've downloaded the Kindle app, but I don't use it, because I don't want to give Amazon all my billing details. I use the iBooks app, with the nice bookshelf, and I've downloaded quite a few classics to read on it. 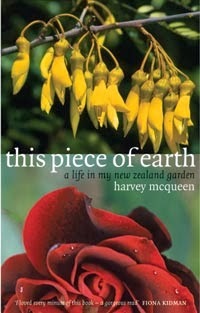 The huge drawback of the iBooks app is that in New Zealand, you can only get the free Project Gutenburg books on it. However the upside of that is that I have ended up reading quite a few classics that I might not otherwise have looked at. If I were you, I wouldn't be getting the Scrabble app. It's far too addictive. Oh I did nod in knowing agreement with you as you attempted to set up your ipad Anne. While I don't own one I have had to ring for help about the modem router and some time soon I will have to get "techy" with the new high speed fibre optic broadband that has just been installed in our street. I relate to the exhaustion you felt after wrestling with it all.